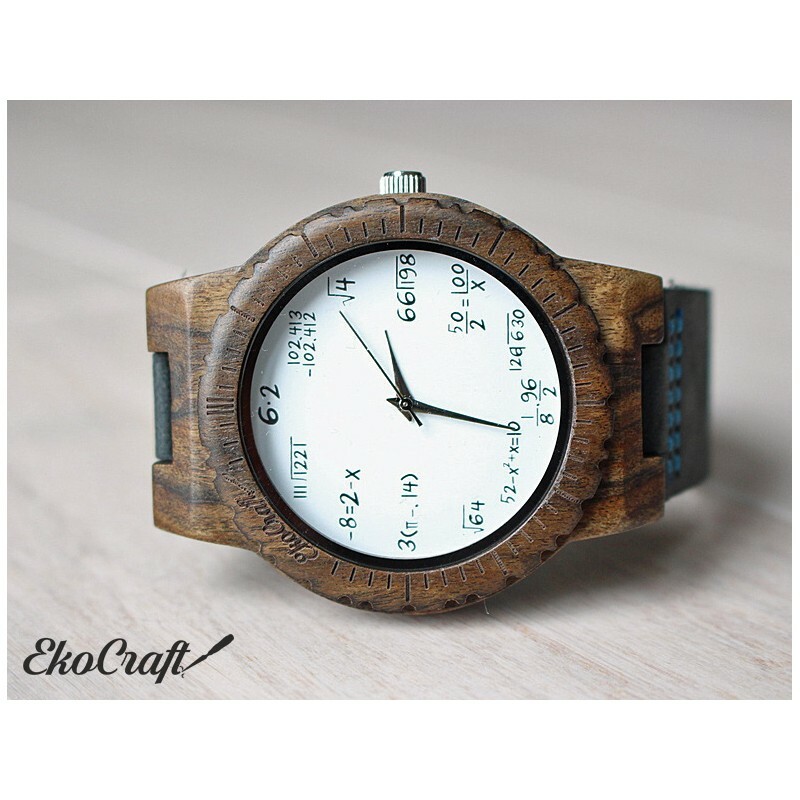 High quality ebony wooden watch with Japan quartz movement. 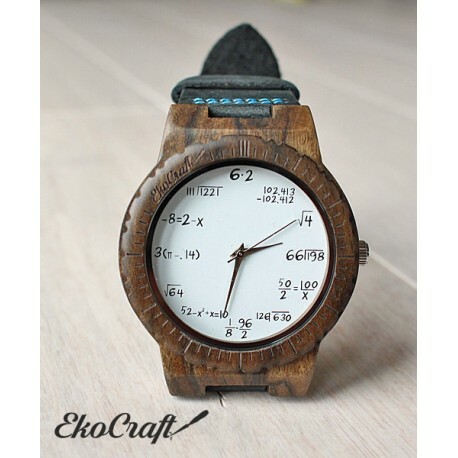 Dial of the watch is from ebony with watch face with mathematics signs. 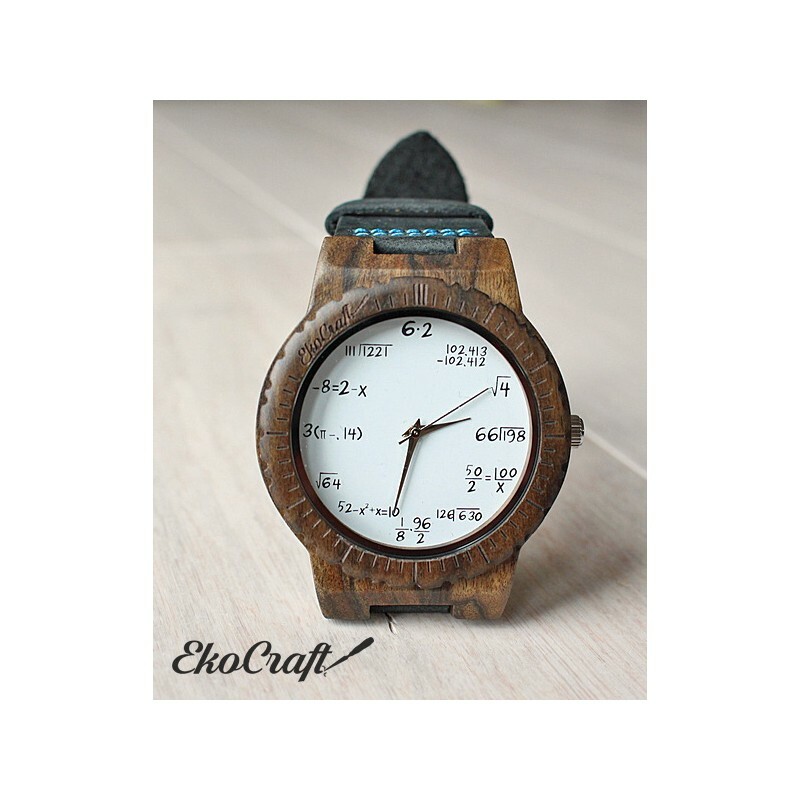 Diameter of the watch face 4,5x5,3 cm (about 1.7 inches ). 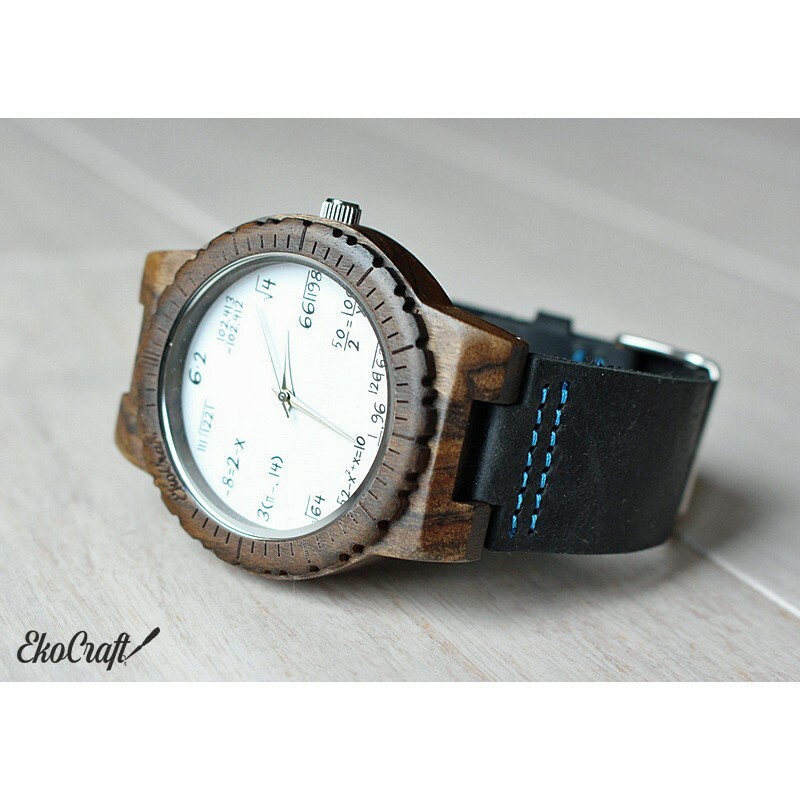 The watch strap (26 cm long) is made of genuine, black leather with blue stitching (we can change the strap color). Perfect for a gift for some kind of scientists. Please see the watch on the photo. 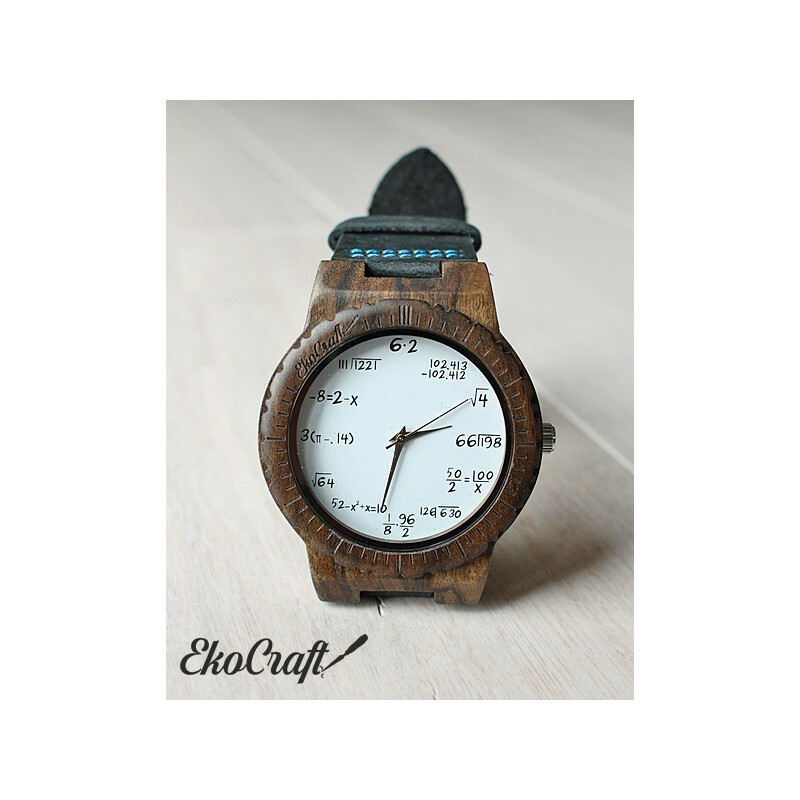 - All watches covered by a 12 months mechanical warranty. This does not cover normal wear and tear, water damage, or impact damage. Outside of one year, we will still do our best to help you!